Fine dining restaurant chain Imperial Treasure has unveiled special wine pairing menus across a number of its premium outlets featuring different European wines. Pairing with Chinese food can be a tricky proposition – depending on regional and provincial cuisines the food can be extremely strongly flavoured – but that hasn’t stopped many Chinese restaurants from listing wines in an effort to get into the wine pairing game. While a number of them get it right – Jade Palace at Forum The Shopping Mall, for example – most invariably are haphazard efforts. Imperial Treasure has launched one of the most comprehensive wine pairings this month, putting special wine pairing menus in a number of its dining establishments last month. Wines specially picked for the pairing menus include Dr Loosen Wehlener Sonnenuhr Riesling Kabinett 2014, whose bright acidity and fruity ripeness is curiously but beautifully matched with both the Fried Squid with Pepper and Salt and the Sauteed Prawn with Black Bean and Chilli; the Domaine des Remizieres Crozes-Hermitage Cuvee Particuliere 2012’s expressive bouquet and palate of ripe red fruits and bouquet garni holds up well to the likes of Pan Fried Iberico Pork with Garlic, or Braised Wagyu Veal Cheek with Brown Sauce. The BriO de Cantenac Brown 2004, the second wine of Margaux Grand Cru Bordeaux Chateau Cantenac Brown, with its silky tannins and earthy notes is perfectly suited for drinking with almost any Chinese dish we were served. 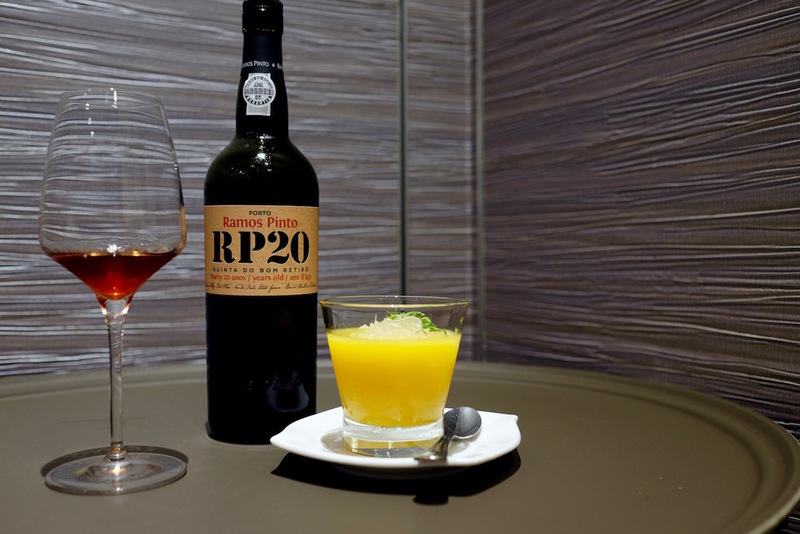 The most surprising pairing was the Ramos Pinto Tawny Port 20 Years Old, a rich sweet red port that surprisingly worked with a dessert of Sweetened Mango Sago with Pomelo (above). The wines for the special wine pairing menus available till end June were initially chosen by founder Leung, but we understand that Imperial Treasure has since hired a dedicated sommelier so future wine pairing menus are guaranteed. The restaurant chain is also looking at Chinese baijiu and Cognac pairings, which should prove interesting as well. Imperial Treasure’s specially selected menus range from $88 ++ per person without wine and up to $148 ++ with wine pairings.